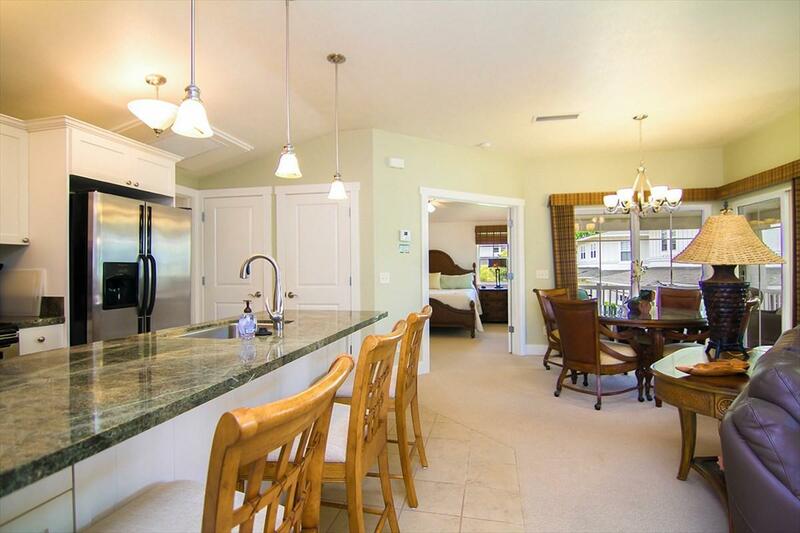 Exceptional three-bedroom, three (full) bath, top floor turn-key condominium unit. 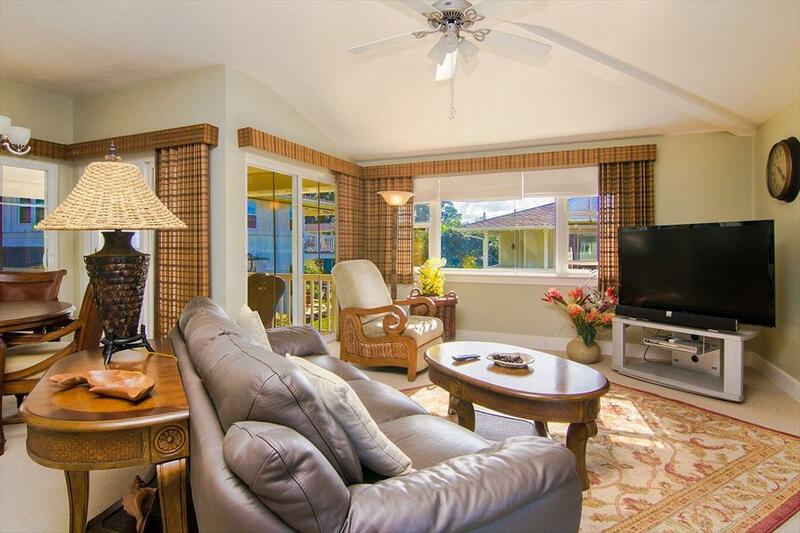 Can be a high-performance vacation rental, a full-time residence or second home. This is a well-maintained unit in nearly-new condition. Never used as a been vacation rental. Currently a long-term rental. Beautiful furniture package included. Interior finish appointments selected to project classic architectural character of bygone sugar plantation days. Master bedroom includes a king size bed. 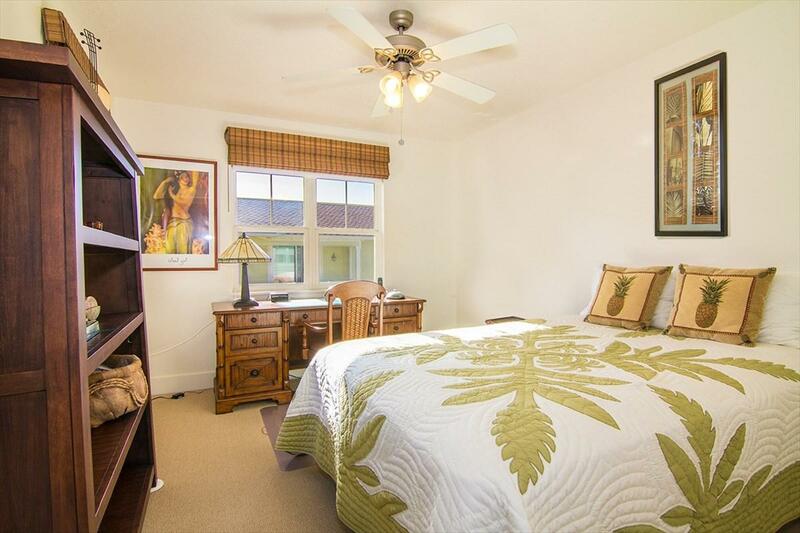 The second master bedroom includes a queen bed. The third bedroom is used as a study complete with desk and office furniture. A/C keeps things cool and moisture free. Double pane windows are a great sound insulator. The Plantation at Princeville is unique. 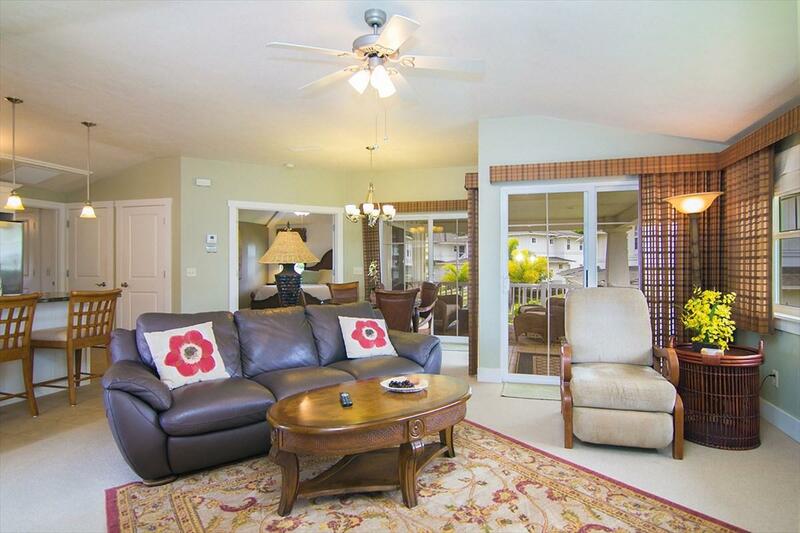 Possesses one of only a few exercise and business centers in Princeville. Gorgeous Beautiful pool, hot tub and waterfall feature providing the soothing and relaxing sounds of "falling water.